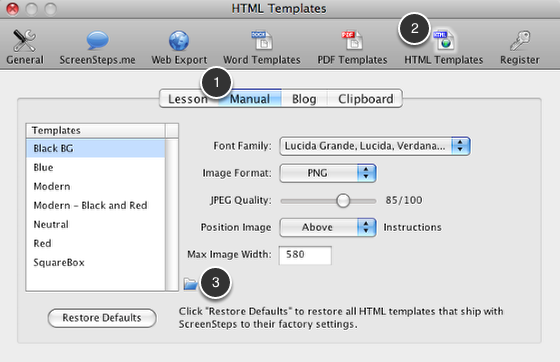 When exporting a manual to HTML using a default template the lesson description is included in the table of contents page. This lesson will show you how to remove the lesson description. 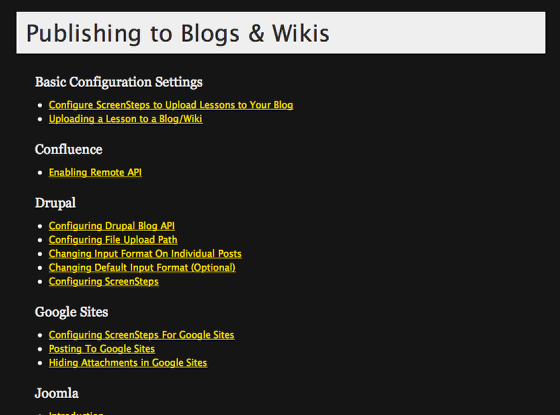 Open Preferences, click on HTML Templates (1) and navigate to the Manual tab (2). Click on the reveal folder button (3). Duplicate the template folder you would like to modify. I am going to modify the Black BG template for this example. Locate the index.html file in the ./TOC folder of the template folder you are modifying. This file contains the instructions for rendering the table of contents page when exporting a manual to HTML. 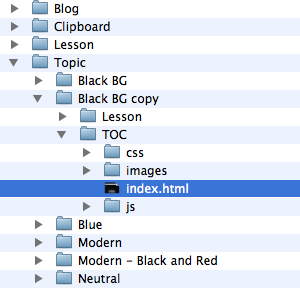 Locate the LESSON section in the index.html file. Look for the text %LESSON_DESCRIPTION%. Delete %LESSON_DESCRIPTION% and save the file. 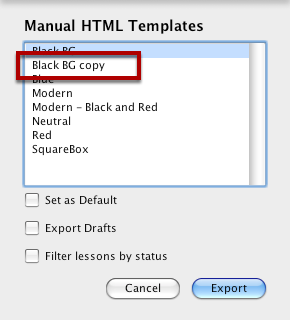 Now export a manual and select the new template you just created. 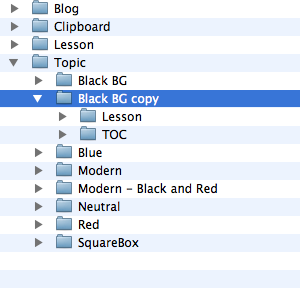 Now your table of contents no longer contains the lesson descriptions.